Chrysanthemum Shawl – a big bountiful lace bloom! When I originally created this design, I knit it in vivid pink, so Alexa’s version is quite a departure… but still very much in keeping with the botanical nature of the design! Alexa knit hers in DK weight yarn, so it came out a little bigger than the original sample which was made in sock weight. Pattern: Chrysanthemum Shawl or Blanket (published by SweetGeorgia Yarns) – the pattern includes instructions for a semi-circular shawl or a circular lace blanket. Gauge: 22 sts / 4 inches in stockinette stitch… but sizing is not crucial for this project, so achieving precise gauge isn’t too important. Bold Bright pink, or verdant leafy green… which would you knit? Want to get started knitting lace? We have an excellent free beginners lace pattern, Gothic Lace, which comes with an in-depth tutorial to guide you on your way! 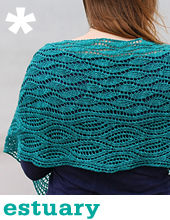 Lace looks tricky, but really isn’t so difficult – just cast on and get started today. Uncomfortable with lace knitting techniques? 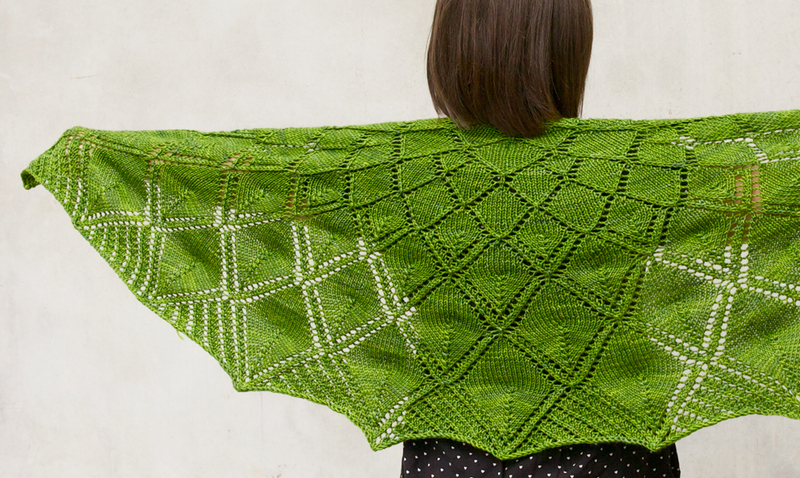 We have tutorials that cover the garter-tab cast on (how many top-down shawls are started), how to read charts, and how to block a lace shawl or blanket. Share the knowledge, join the conversation ::: If you know a knitter who would benefit from these tutorials, share this post. We’d also love for you to join in the chat and share your projects on Facebook, Instagram, Twitter, Pinterest and Ravelry! What a beautiful colour !